Kalamata olive, I have been told, is the best olive. This is from a guy who knows his food, the head baker at the bakery I work for. 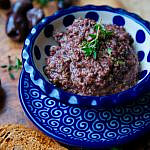 I specify the olive type here (because ‘best olive’, of course) but in researching this recipe, I have learnt that tapenade is, in actual fact, all about the caper – (more here if you’re interested). 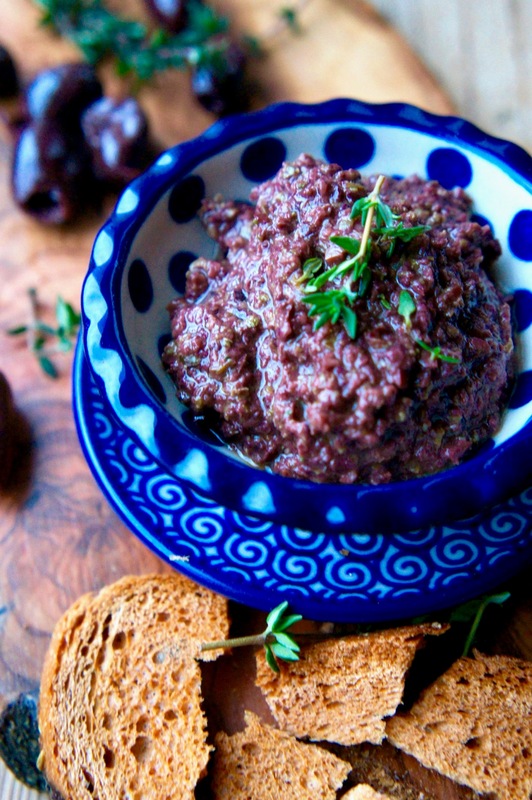 This works for me as I am a huge caper fan, as I am of all things tangy, and the tapenade itself is just a bowl full of salty, tangy goodness – best place to dunk crispy melba toast or soft, freshly torn baguette, whatever floats your boat. This said, don’t let this caper malarky worry you as the olive still takes centre stage in terms of flavour and colouring, and is the most identifiable part of an overall wonderful dip. 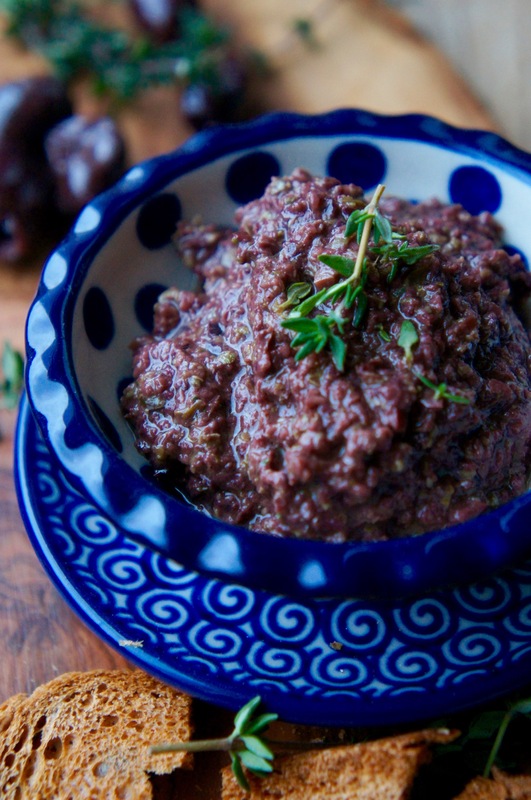 For example, if you were to use a jarred, pitted, black olive you would end up with a more subtle, nutty flavour rather than the Kalamata olive, which gives a sharper, tangier flavour that works beautifully with the already tangy capery, lemony mix. The place I most recently had tapenade was in Amsterdam, actually, at a very Dutch restaurant, which I found quite enlightening. The reason why is, previously to this, I had only really thought of tapenade as a Mediterranean dip to be eaten with a glass of something very chilled and preferably fizzy and whilst watching the sun sink behind a warm, glorious horizon – not in a Dutch restaurant in the centre of Amsterdam, let alone my tiny kitchen in wintry London. 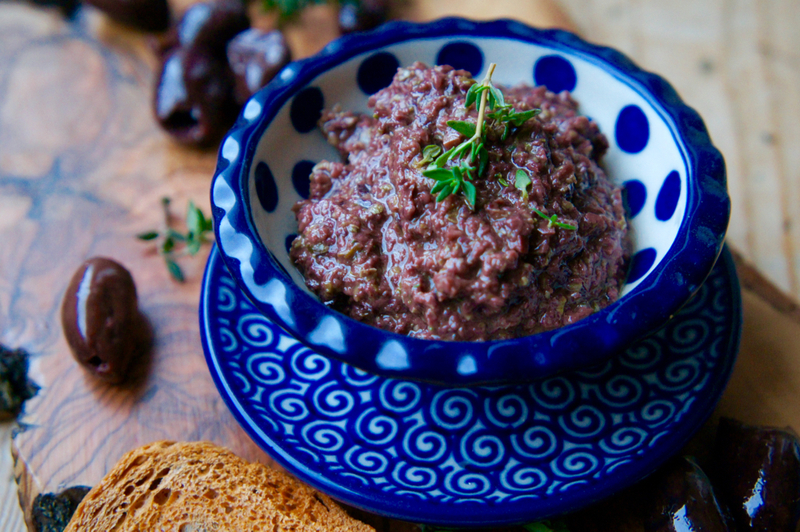 The barriers, for me, were then broken and one of the first things I did on my return home was make tapenade. It’s so easy. It’s so delicious. Why have I not done this before? 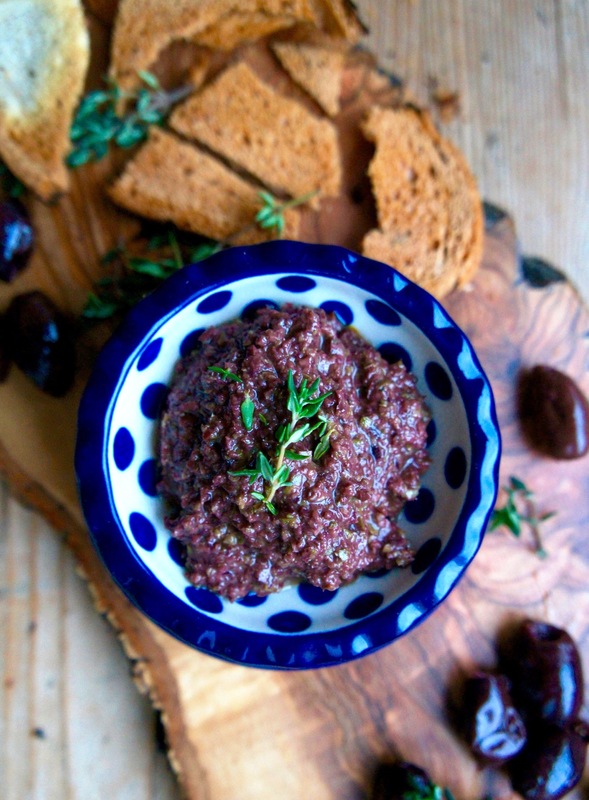 Especially with all the festive drinks parties approaching, I feel like tapenade might be an absolute godsend. Without the time (or patience) to make fiddly canapés, nor the want for (yet another) hummus, tapenade might be the perfect dip to present to your guests without needing to worry about oven timings or pastry failings. What a winner. Put the pitted olives, capers, chopped anchovies, garlic and thyme in your food processor and whizz until it is a rough paste. You can leave the texture chunkier if you wish. Add your lemon juice, whizz again, and with the food processor running, add the olive oil. You may want to add more or less to get the consistency you like, I don’t like mine too oily or runny so it’s easier to pick up on a piece of toast. Add a twist of freshly ground black pepper and taste – add more lemon if necessary. It will keep very well in the fridge for a few weeks!